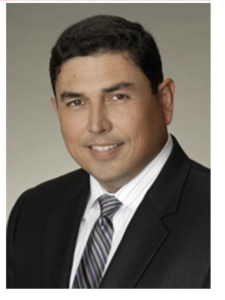 Javier Ramirez is the Lead Partner in SingerLewak’s Specialty Tax Group. Javier has more than 21 years of experience working exclusively within the state and local tax field. He specializes in multistate income tax, credits and incentives, sales and use tax and real and personal property taxes. Prior to joining SingerLewak in 2009, Javier was an Executive Director at one of the largest international tax and accounting firm?s working in its west coast state and local tax practice. Javier Ramirez earned his bachelor?s degree in accounting from California State University in Fullerton. Javier is a member of the AICPA, CalCPA, The Institute for Professionals in Taxation, California Taxpayers Association, California Association of Enterprise Zones, and the Society of Auditor Appraisers. Javier has presented at various Industry Groups proving tax updates, webcasts on specialty state and local tax matters as well as seminars on specific state and local tax issues. He has provided technical S.A.L.T. alerts on upcoming state tax issues distributed nationally.